Welcome to my new website! I am so happy to get this up and running! My goal is to offer information and ideas that are accurate and balanced, guided by my 25 plus years practicing obstetrics and providing care to women. 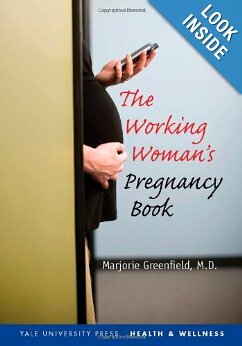 For a more complete resource, an updated version of The Working Woman’s Pregnancy Book will be available on kindle and other electronic platforms shortly. Stay tuned! If you have questions or ideas for a topic, send them on in! I can’t promise I will have time to answer everything, but I will try to hit on common threads. Remember that I can’t (and shouldn’t) practice medicine online, so this website and my books are just for general information. I will try to keep the content accurate and up to date, but reading and researching are not substitutes for medical care. Your doctor or midwife will always be your best source for personalized information and advice. Find the book now on Amazon!